For the next two weeks - Chorizo Papas skillet will be on special at Bandido's Mexican Cafe! A frying pan full of seasoned grilled potatoes with tomatoes, onions and mushrooms with chorizo sausage and a blanket of cheese. Served with beans and warm flour tortillas. This goes great with our Monday cantina special of $1.99 house margaritas. Come and get it! Visit www.bandidoscafe.com. Carolina Performing Arts tickets are now on sale for the 2012/2013 season...the long wait is over! Carolina Performing Arts and UNC-Chapel Hill will commemorate the 100th anniversary of Igor Stravinsky's The Rite of Spring with a major international project in the 2012-13 Season. Get your tickets NOW! Friday, July 27 from 5PM to 8PM to celebrate the end of the work week. Enjoy delicious food, and live music. Enjoy beer, wine, and a grill menu prepared freshly upon order coupled with Chef's hand-selected weekly feature. Purchase food and drink tickets in advance online. Visit www.carolinainn.com. Don't let the heat get you down. Any time the Weather Channel predicts temperatures of 100 degrees or above for Chapel Hill or Pittsboro, Carolina Brewery restaurants will sell $3 Sky Blue pints on that day! Come in, cool off with your friends and enjoy the summer savings. Just thinking of an icy cold Sky Blue Golden Ale sitting in front of you makes you feel cooler! Are you counting down the hours until the Olympics begin? Have you already started painting the American flag on your face? 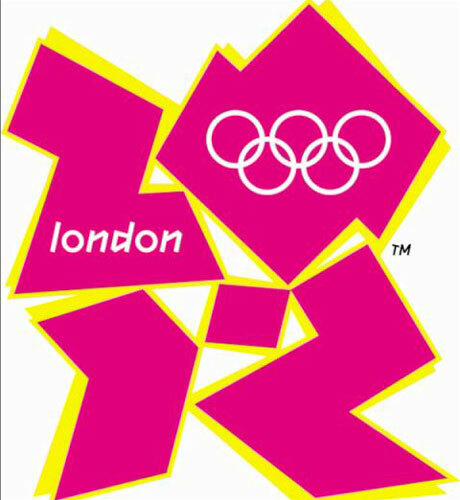 Join fellow Olympic enthusiasts to watch the Opening Ceremony of the London 2012 Olympic Games on Friday, July 27 from 6PM to 9PM at Kildare's Irish Pub! This community event is FREE and open to all ages; and is family-friendly. Olympic Bingo will begin at 6:30PM, Olympic Trivia will begin at 8PM, and family-fun games throughout the event while the Opening Ceremony is shown LIVE on television! Dress as your favorite Olympian, or dress in your national attire. You'll receive great prizes; and of course the admiration of all! Come for the Olympic fun and stay for dinner. More details here! The Ackland Museum Store, on the corner of Franklin and Columbia Streets, in downtown Chapel Hill, will reopen for business on Friday, 27 July, at 10:00 AM. A plumbing problem in mid-June forced the store to temporarily close -but they are back and ready for business! In the Museum Store's retail gallery space, the exhibition Earthly Delights, featuring pottery by Joseph Sand and textiles by Sondra Dorn, is on view until August 10. Ackland Art Museum members receive a 10% discount on most Museum Store purchases. In addition, members enjoy special discounts during several designated Member Shopping Days throughout the year. For membership information, call 919.966.5736 or visit www.ackland.org. On Thursday, July 26 from 3PM-4:30PM children will explore the exhibit, "Give Me Wings", chat with "Birdman" Dave Gulik and his parrot then soar through the exhibition to gain inspiration for their very own wings craft! Don't miss this chance to take flight with professional artists Nerys Levy and Sudie Rakusin! *This program will take place entirely at FRANK Gallery at 109 E. Franklin St. $8/per child. Space is limited and registration is required. Call 919-933-1455 or visit www.kidzuchildrensmuseum.org. Thursdays at FRANK bring musical and theater productions, talks by local authors and artists, poetry readings, and so much more. FRANK hosts weekly artists salons from 6PM to 8PM in the gallery. Visit www.frankisart.com. July 19 -- Joey Howell on guitar. July 26 -- Birdman Dave Gulik and parrot at 3:00 with Kidzu Children's Museum. Adults are welcome too! Enjoying cold ice cream on a hot summer day at Ben & Jerry's sidewalk dining! Fall Is Arriving, Summer Must Go! It's hard to believe that before long we will be headed back to school. Glee Kids has it's first fall shipment of the clothing line Tea - and it's fresh, fun and perfect for transitioning into fall! The semi-annual "Bucket Sale" has started with 40-60% off all summer clothing, shoes and gear! Visit www.gleekids.com. Kids are invited to play and explore at Kidzu while parents enjoy an evening out on Friday, July 27 6PM to 8:30PM. This fun-filled night will include lots games, fun music, crafts, stories, and yummy snacks. This is a drop-off (childcare) event for children ages 3-9 (must be potty trained). Kids will exercise their minds, bodies, imagination and independence. Cost is only $20 for the first child and $15 for additional children in same household and Kidzu members. Registration is required and space is limited. Call Kidzu at 919-933-1455 to register or pay online at www.kidzuchildrensmuseum.org. Calling All Foodies to Compete! PIZZA CONTEST: The Standard Restaurant is looking for a new fall pizza recipe. Submit your recipe and name your pizza by 11/1/12. Five finalists will be invited to cook their pizzas in The Standard kitchen; a panel of judges decides the winner. The winner gets dinner for four, $20 gift card, and serious bragging rights! Submit your recipe: http://tinyurl.com/7gqafj4 or email thestandardz@gmail.com. BURGER CONTEST: Carolina Brewery is looking for the ultimate build-your-own-burger! The Brewery is now accepting your dream burger recipes for their annual "Iron Chef-style" burger contest. Send recipes to:burger@carolinabrewery.com, or by picking up a Burger Contest recipe submission card at either restaurant. Visit www.carolinabrewery.com.